Gabe Collins and Andrew S. Erickson, “Energy Nationalism Goes to Sea in Asia,” in Gabe Collins, Andrew S. Erickson, Yufan Hao, Mikkal E. Herberg, Llewelyn Hughes, Weihua Liu, and Jane Nakano, Asia’s Rising Energy and Resource Nationalism: Implications for the United States, China, and the Asia-Pacific Region, NBR Special Report #31 (Seattle, WA: National Bureau of Asian Research, September 2011), 15-28. Andrew S. Erickson from the U.S. Naval War College and Gabe Collins from China SignPost provide an excellent discussion of the growth in maritime oil and gas transit flows from the Persian Gulf and Africa through the sea lanes of Southeast Asia and the Indian Ocean to China and the rest of Asia. They highlight how energy demand and transit have become important new drivers for naval expansion and rivalry in the region’s sea lanes. Energy security has two important impacts on the South China Sea region. The first is that the potential for large oil and gas resources under the sea bed is adding fuel to already serious disagreements over competing sovereignty claims in the South China Sea. 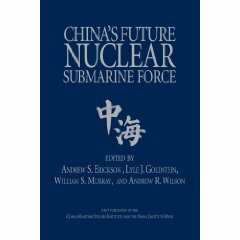 The second issue is that as China’s dependence on oil imports rises dramatically, Beijing is increasingly uncomfortable with the U.S. Navy controlling regional sea lanes. 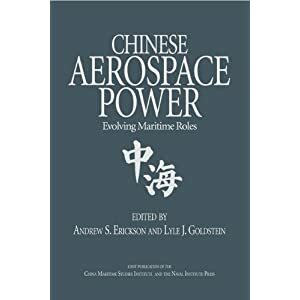 Evidence suggests that this discomfort is a key factor in motivating China’s naval modernization and growing capabilities, which are in turn driving naval expansion by other regional powers and presenting new challenges for U.S. naval strategy. This essay argues that concerns about securing offshore energy production and the sea lanes used to import oil and liquefied natural gas are motivating naval modernization in the Asia-Pacific and creating associated security risks for the entire region. 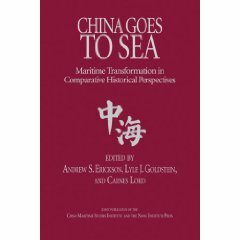 Maritime disputes in the Asia-Pacific region have historically stemmed from unsettled territorial and maritime claims. 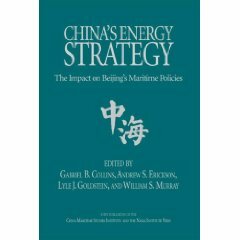 In the past decade, however, concerns over maritime energy security have increasingly inflamed these disputes. Rising energy prices, fears of supply scarcity, and rapid increases in oil-import dependency in China and other regional powers such as Indonesia have helped drive resource nationalism among regional governments. Such nationalism incentivizes states to build naval forces capable of deterring rival claimants in potentially resource-rich areas, as well as in some cases threats to major maritime energy transport corridors. As energy security becomes a more important driver of regional arms procurement, it is critically important for states to understand that the high-probability threats to maritime energy security are nonstate threats that are best addressed cooperatively. Extreme weather, seismic activity, and nonstate threats such as terrorism are the highest- probability threats to maritime energy security in the Asia-Pacific region. Thus, policies based on cooperation will be the most effective in enhancing regional energy security. Greater cooperation can also help change regional perceptions in ways that substantially reduce the chance of armed conflict between states, which is the lowest-probability threat, but the one with the highest potential impact on maritime energy security. Regional civil maritime organizations offer a more effective and less-politicized vehicle for engagement than navies do. Major energy producers and consumers can also work to increase “maritime domain awareness” by integrating information on key energy assets and the locations of weather, piracy, and terrorist threats along major sea lanes and production areas. The system could also include a joint pirate threat database to plot locations of attacks and anticipate future trouble spots by analyzing patterns of pirate behavior. Asian countries with offshore energy production interests in disputed areas should consider creating joint development zones.